The next decades are crucially important to putting the world on a path of reduced greenhouse gas emissions. By the end of the century, demand for energy will have tripled under the combined pressure of population growth, increased urbanization and expanding access to electricity in developing countries. The fossil fuels that shaped 19th and 20th century civilization can only be relied on at the cost of greenhouse gases and pollution. A new large-scale, sustainable and carbon-free form of energy is urgently needed. The following advantages make fusion worth pursuing. No CO₂: Fusion doesn't emit harmful toxins like carbon dioxide or other greenhouse gases into the atmosphere. Its major by-product is helium: an inert, non-toxic gas. No long-lived radioactive waste: Nuclear fusion reactors produce no high activity, long-lived nuclear waste. The activation of components in a fusion reactor is low enough for the materials to be recycled or reused within 100 years. Limited risk of proliferation: Fusion doesn't employ fissile materials like uranium and plutonium. (Radioactive tritium is neither a fissile nor a fissionable material.) There are no enriched materials in a fusion reactor like ITER that could be exploited to make nuclear weapons. No risk of meltdown: A Fukushima-type nuclear accident is not possible in a tokamak fusion device. It is difficult enough to reach and maintain the precise conditions necessary for fusion—if any disturbance occurs, the plasma cools within seconds and the reaction stops. The quantity of fuel present in the vessel at any one time is enough for a few seconds only and there is no risk of a chain reaction. Cost: The power output of the kind of fusion reactor that is envisaged for the second half of this century will be similar to that of a fission reactor, (i.e., between 1 and 1.7 gigawatts). The average cost per kilowatt of electricity is also expected to be similar ... slightly more expensive at the beginning, when the technology is new, and less expensive as economies of scale bring the costs down. The ideal future energy mix for the planet would be based on a variety of generation methods instead of a large reliance on one source. 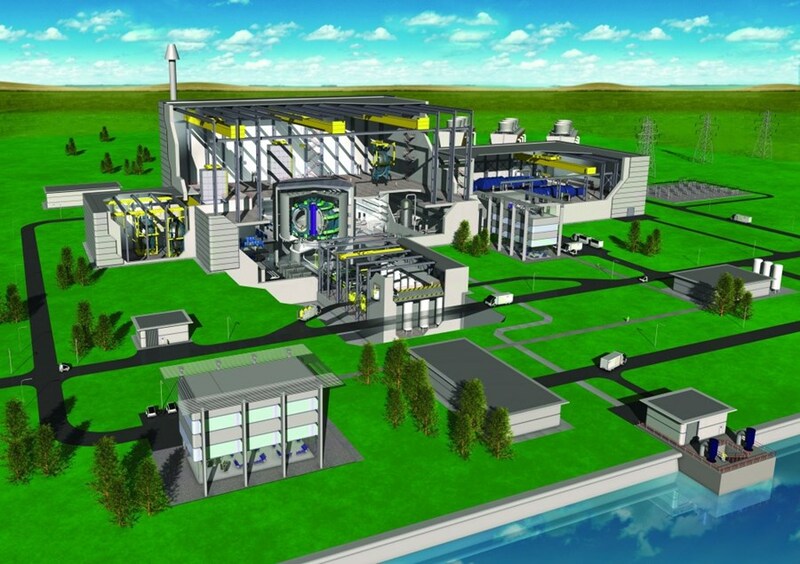 As a new source of carbon-free baseload electricity, producing no long-lived radioactive waste, fusion could make a positive contribution to the challenges of resource availability, reduced carbon emissions, and fission waste disposal and safety issues. IAEA Bychkov: "It's part of our mandate to make fusion power a reality"
Why would financiers support ITER?